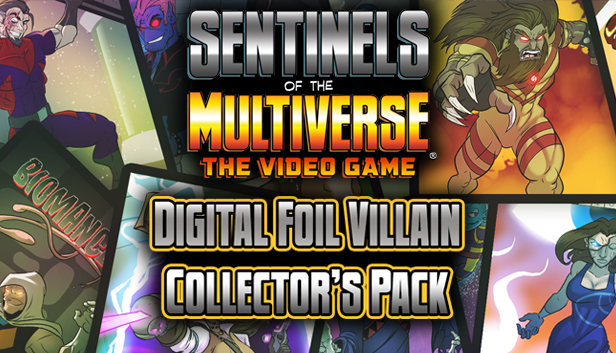 We're celebrating the 4rd anniversary of digital Sentinels of the Multiverse with streams and discounts all week! Over $800 already raised for Child’s Play Charity! Click to download the 4th anniversary wallpaper! 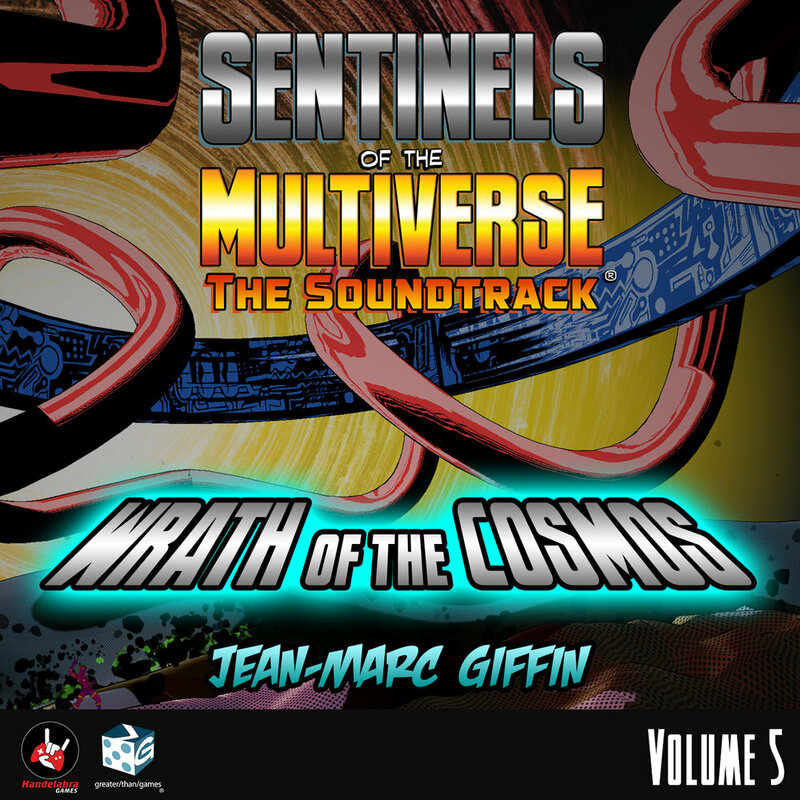 Sentinels of the Multiverse first launched for tablets on October 16th, 2014. It came to Steam 2 months later. In the 4 years since, nearly a quarter million copies have been sold, and there’s still more to come. Thank you for your support over the years - we’re just getting started! Every night, Sunday through Friday, join the Handelabra Stream Team on Twitch, plus some special guests to celebrate 4 years, raise money for charity, and just generally have a great time! Also, make sure to join our Discord to participate in discussions all week! Where have the Southwest Sentinels gone, and what have they become? On the 4th anniversary, they return from space as Void Guard. 4 new playable heroes join the game on Tuesday, October 16th in Mini-Pack 5. But that’s not all! Each hero also has a new variant to be discovered. Last year was the Fall of the Variants, this year it will be the Rise of the Void Guard! 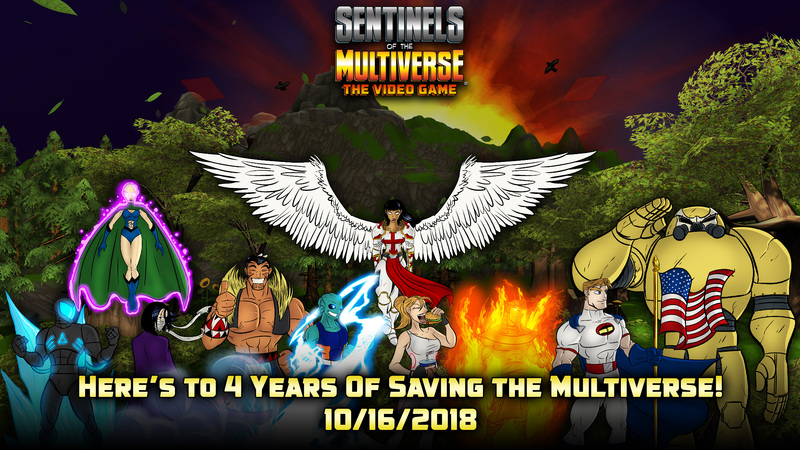 One new variant will become available for unlocking at the end of Sentinels Live for the month following the Anniversary. As a bonus, tune in to Sentinels Live on Twitch each week to vote on which Variant will become unlockable! We are excited to once again be working with Child’s Play Charity for this year’s Anniversary celebration! Visit the link below to donate directly to Child’s Play Charity! We are trying to get to $1500 over the course of the week. 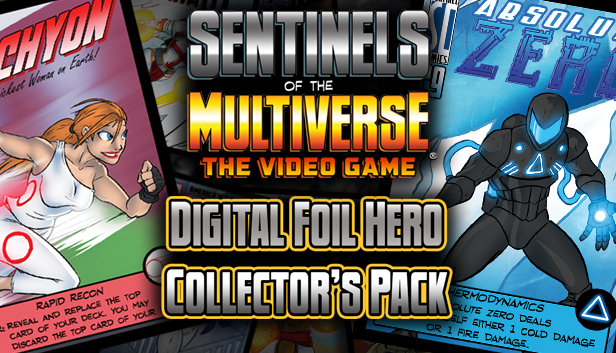 Handelabra Games will also be donating $1 for every foil pack sold during the celebration from October 14th-19th. Foil Collector’s Packs are $1 off, PLUS for every foil Collector’s Pack sold, we’re donating $1 to Child’s Play Charity! Get started for just 99¢! Get Season Pass 1 for 40% off on any platform! That's just $14.99 - the lowest price Season 1 has ever sold for! You can also complete your Season on Steam with the Season 1 Completion Bundle here.